The dancing of the flames. The smell of wood smoke. Roasting marshmallows and hotdogs. Songs around the campfire. The crackle and pop that only comes from a wood fire. These are all endearing memories and excellent reasons to start researching your own backyard fire pit ideas. A backyard fire pit is a highly popular landscaping feature and a favorite outdoor area for gathering, with its attractive aesthetics and homey feel. However daunting you might find such a project, it is completely doable right in your own backyard. There are so many backyard fire pit ideas out there that it can be hard to choose which one is ideal for you. 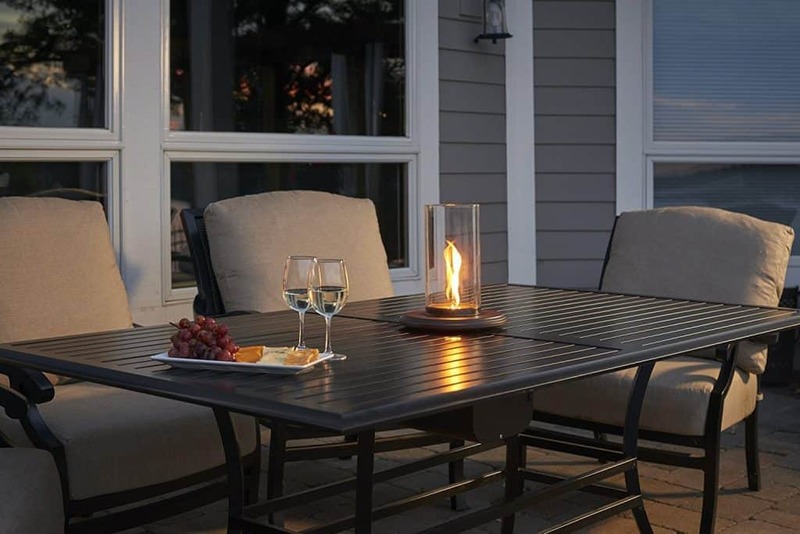 While it is difficult to pick exactly which one you want, it is undeniable that fire pits are a great way to make your backyard into your very own outdoor getaway. There is a fire pit that can fit every budget, be a part of any lifestyle, and please any style or taste. Here are some of my favorite backyard fire pit ideas to help you find one that is unique and perfect for you. 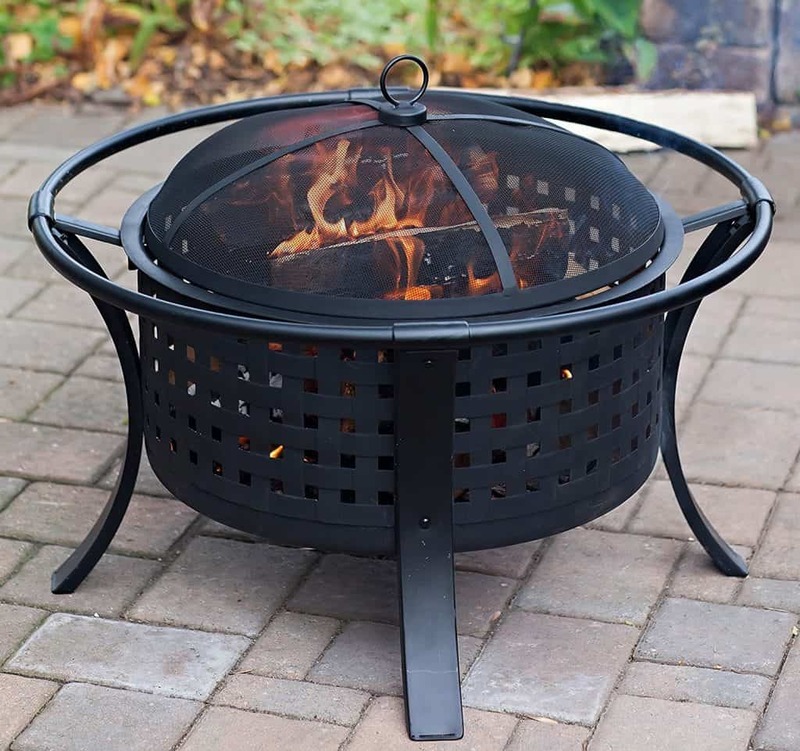 The cheapest and most impermanent option for those who are not looking to alter their backyard too much is a portable steel or wrought iron outdoor fire pit. 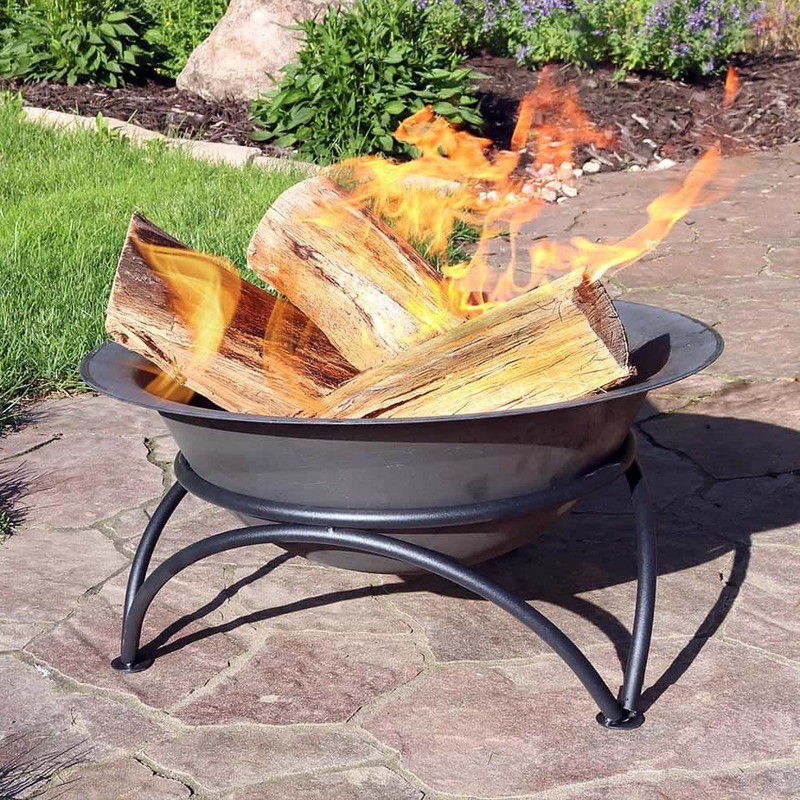 Portable fire pits are wonderful if like to rearrange often and change things up since they can be moved around for parties and get-togethers. They are also great for roasting weenies and s’mores so you to hang out with your friends while you cook. 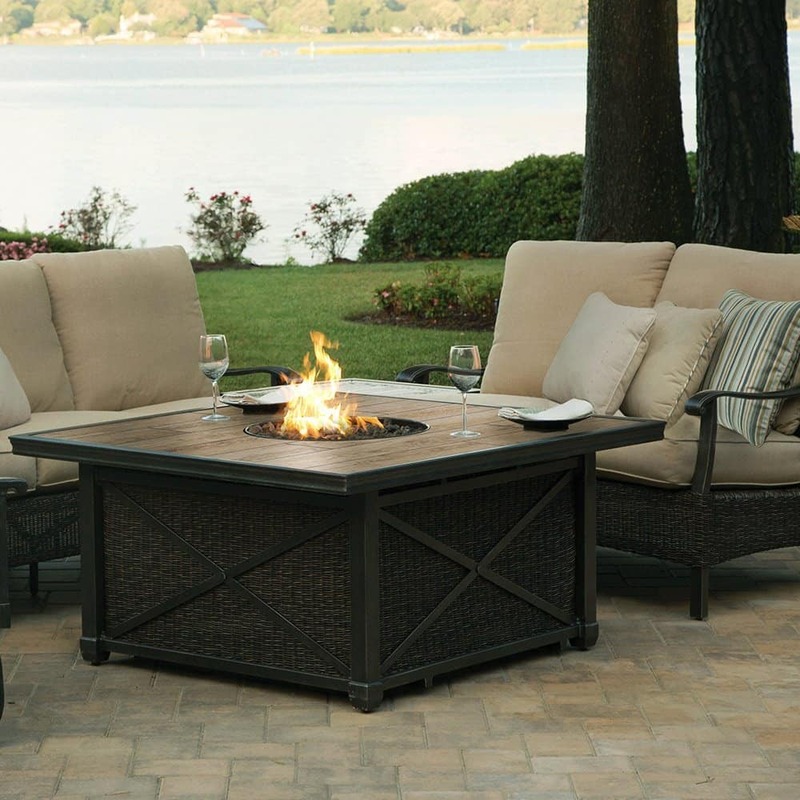 Portable fire pits can be disassembled when you’re done using them and stored until the next time you would like to use it, letting you save space and keeping your backyard space from looking cluttered. Do you long for the warm and coziness ambiance of a fireplace but don’t have the room or the ability to install one in your apartment or small house? 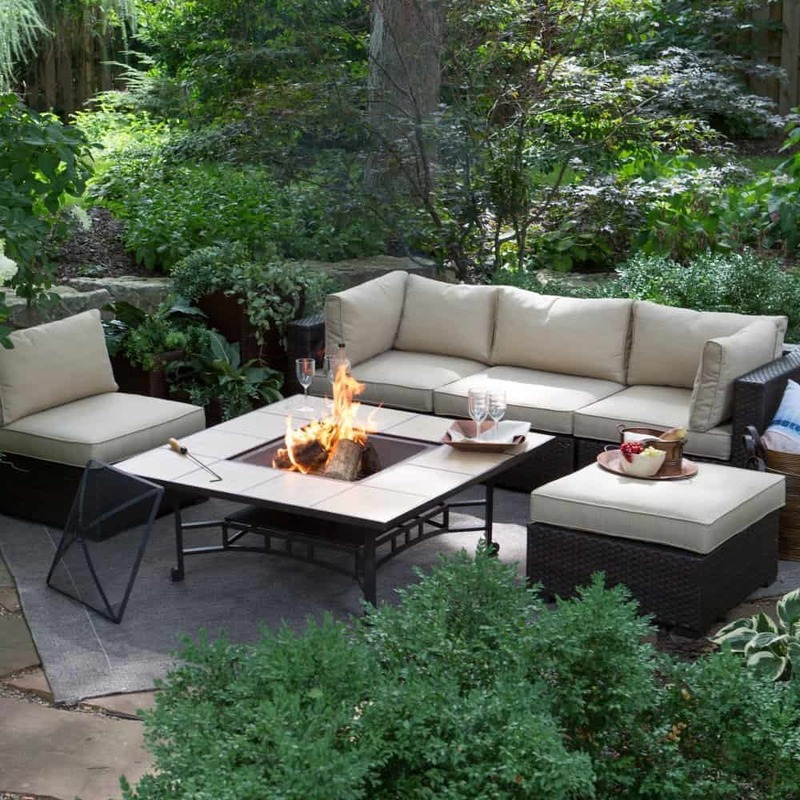 Would you like to create a fire pit gathering area in your yard, but don’t have the resources to build one? 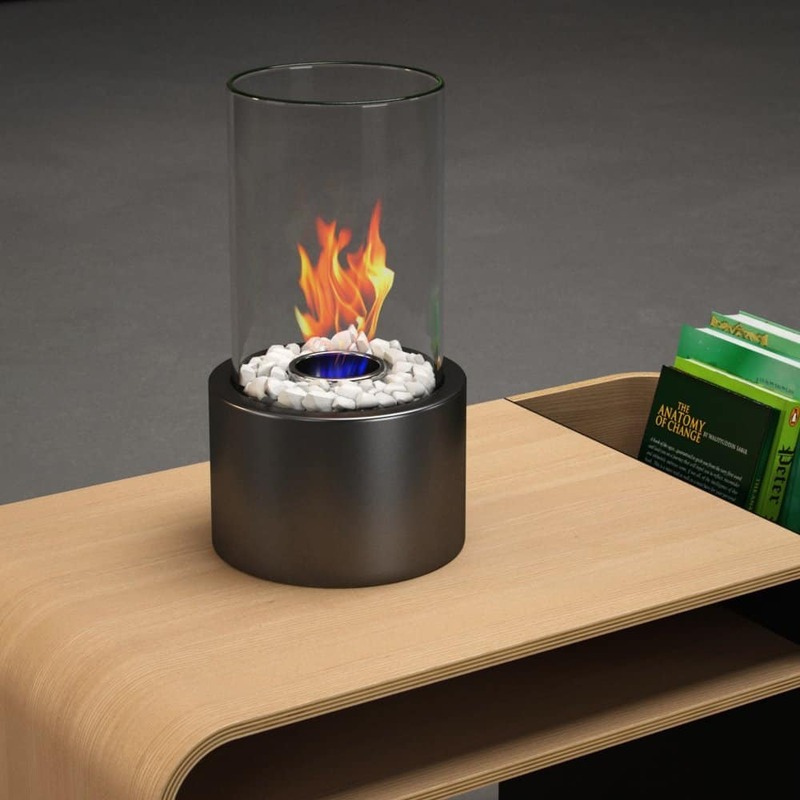 Then the tabletop fire pit is your campfire dream come true. 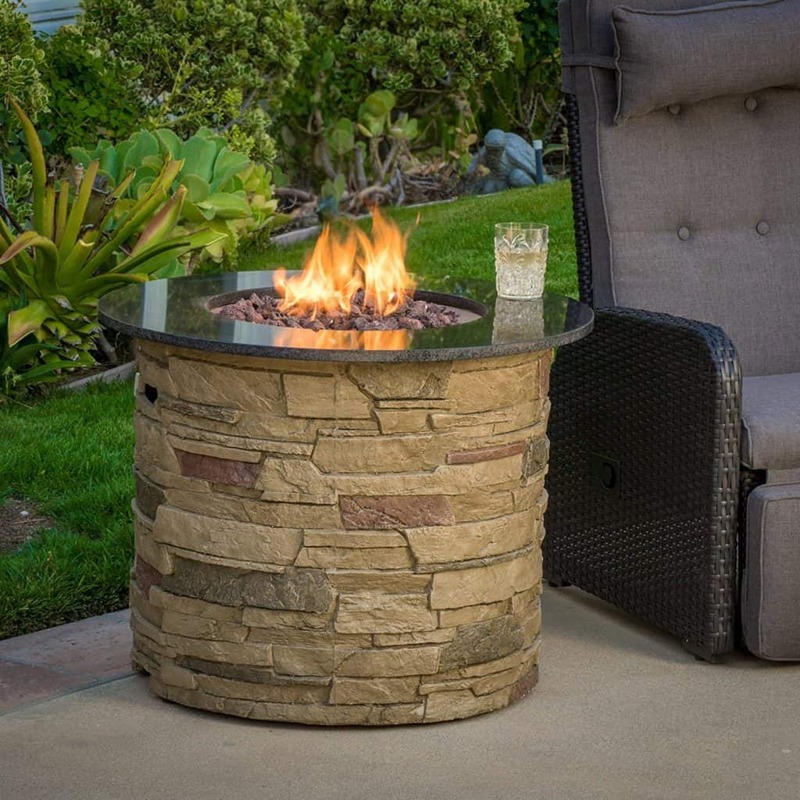 With multiple uses and several types from which to choose, you will be able to create a lovely spot in your home or yard with an easy-to-use fire pit. 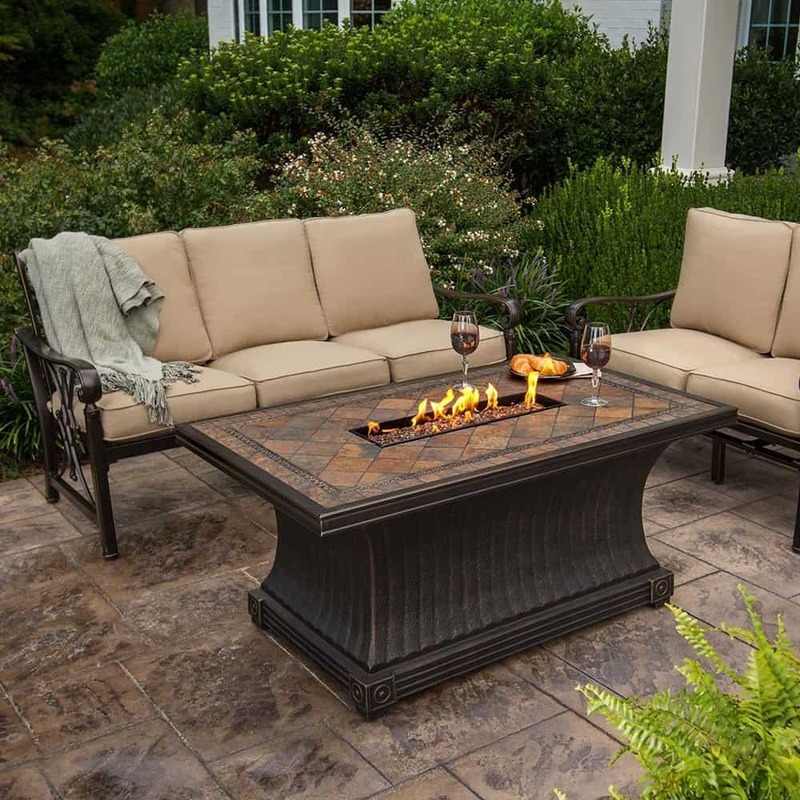 With multiple uses and several types from which to choose, you will be able to create a lovely spot in your home or yard with an easy-to-use fire pit. 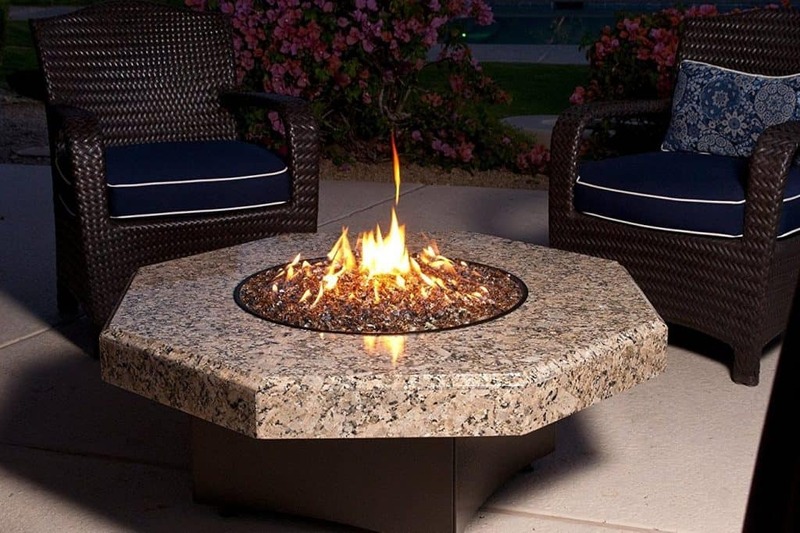 A tabletop fire pit is a gorgeous and space-saving way to add a fire element to and spruce up various areas of your home. Let’s start inside: unfortunately, not every residence can accommodate a full-size fireplace. In fact, if you’re a renter, you don’t even have the option to install a fireplace in your rental. 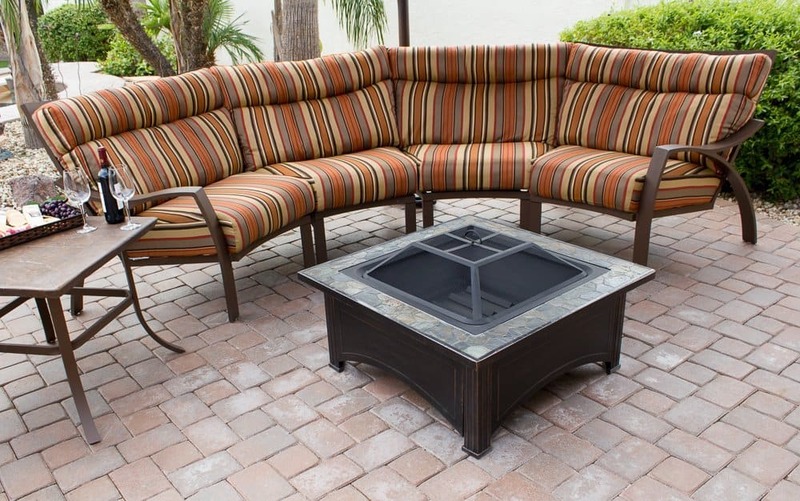 You could use a tabletop fire pit inside your small apartment or house to create the look and feel of a fireplace without the renovations and expenses. 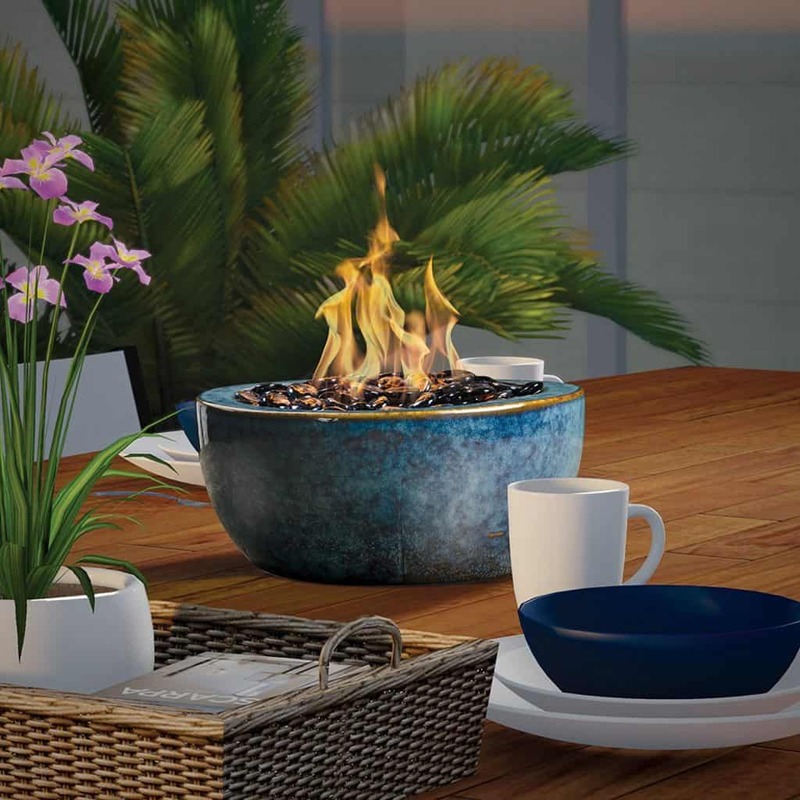 A tabletop fire pit would fit beautifully in the small space of an apartment balcony or fire escape. If you’re in a house with a yard, they also make a beautiful focal point in an outdoor dining area. 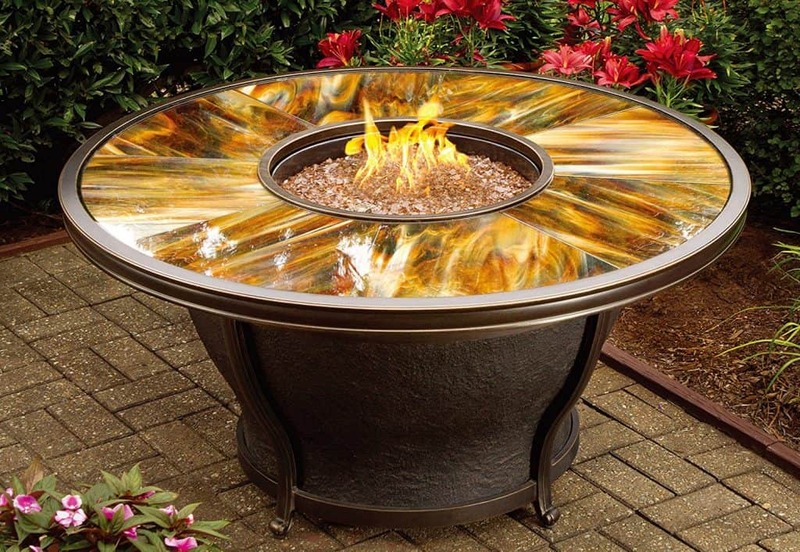 There are fire pits that would fit very nicely in the center of a table, and the dancing flames would create quite the conversation piece as you dine, socialize, and take in the outdoors. 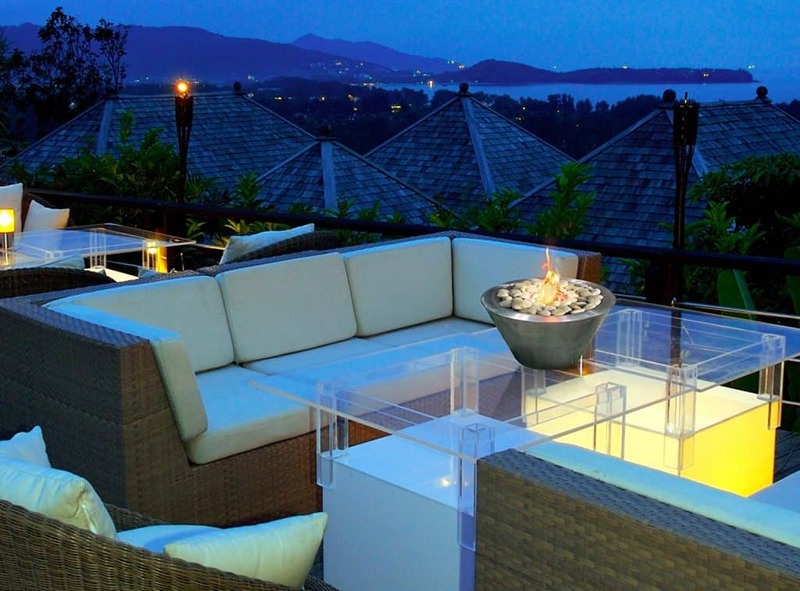 A patio is also a wonderful place for this type of fire pit, creating crackling warmth as you sit out under the night sky and star gaze. 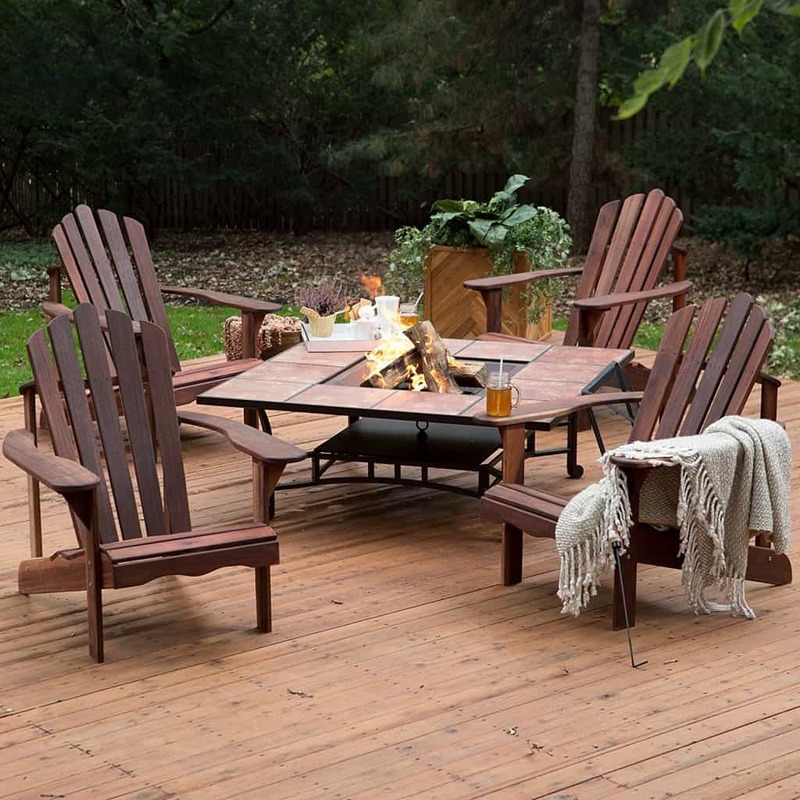 With a small table and some chairs, you could create a mini-campfire area in your yard for marshmallow roasts and sing-a-longs. 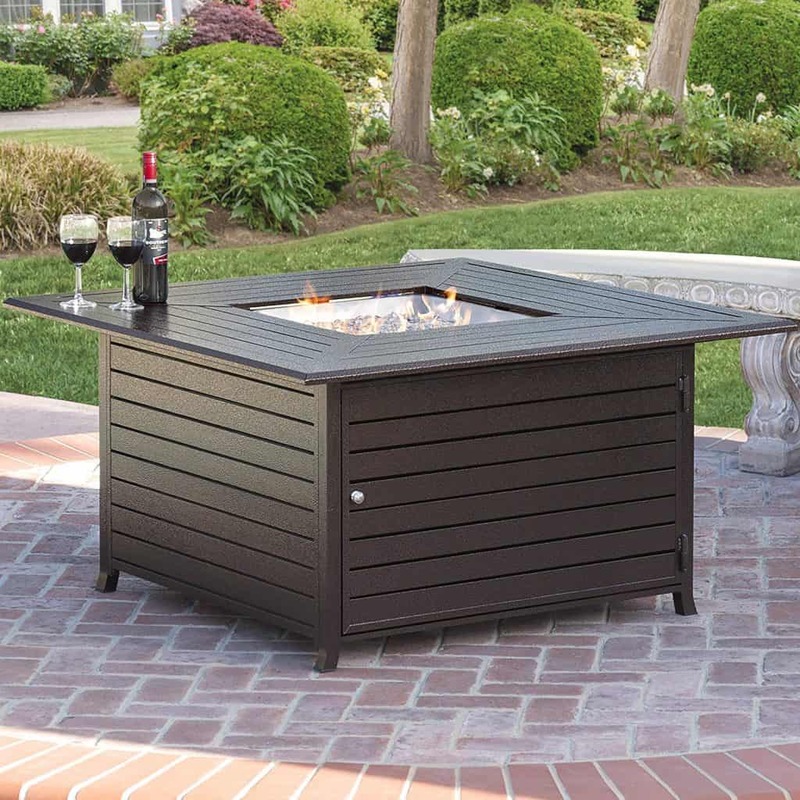 Even a gazebo would be more exciting with the addition of a tabletop fire pit—so long as you exercise caution. With a minimal investment, any or many of these areas of your home could be brightened with a fire pit addition. 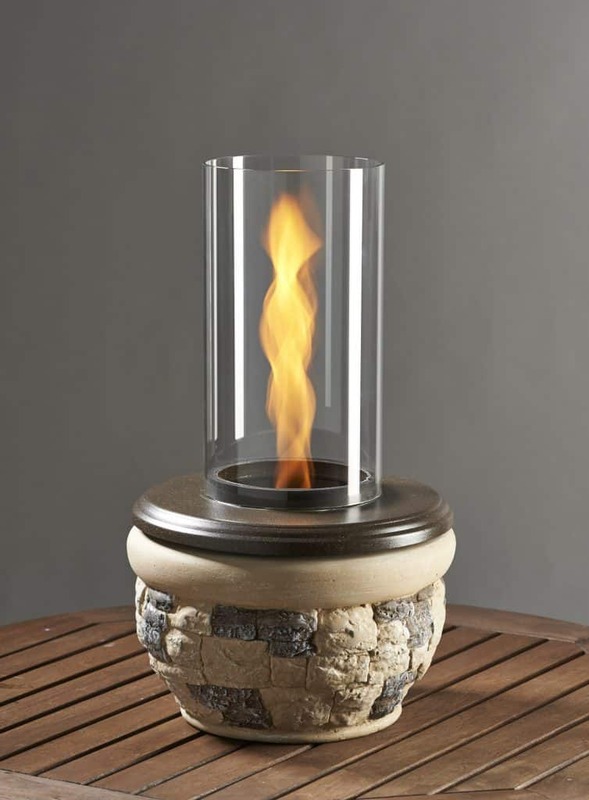 There are several types of tabletop fire pit from which to choose. Thinking about your specific needs and desired placement will help you determine which type is best for your space. 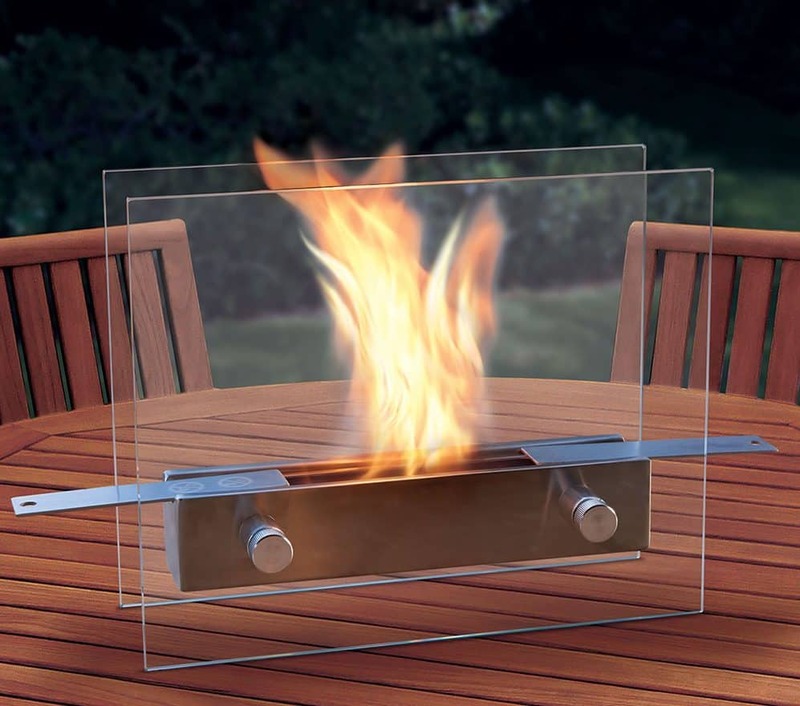 The gel fuel fire pits are a super easy option. They are often very decorative and come in a variety of décor choices. 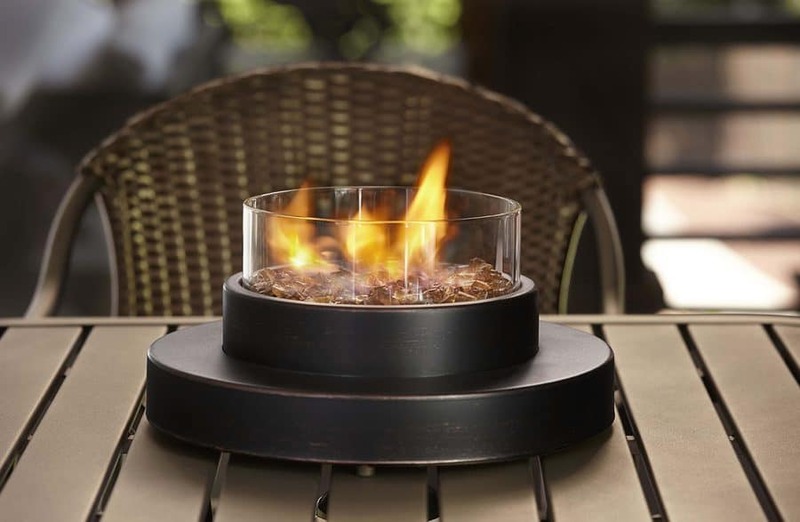 Another advantage of a tabletop fire pit is that they are really lightweight and with a simple lighting of the gel fuel can, your tabletop fire pit is easily lit and ready for your enjoyment. 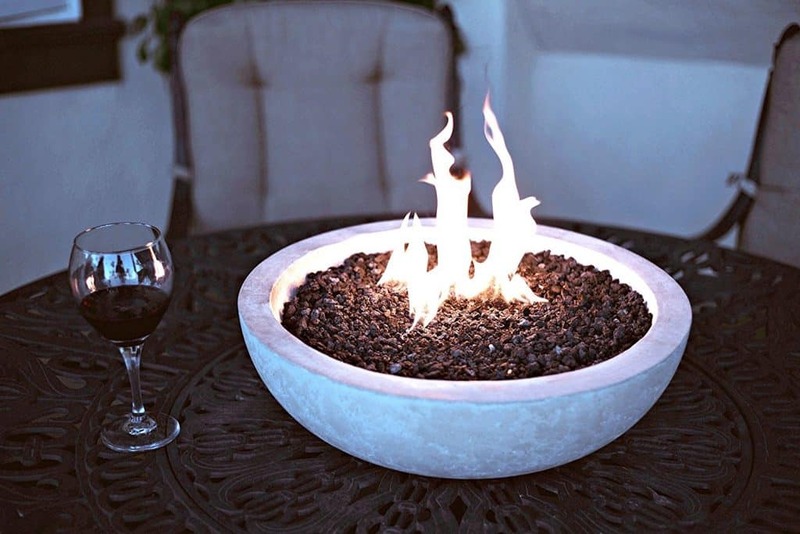 Propane fire pits are another great choice when you’re looking for easy backyard firepit ideas. 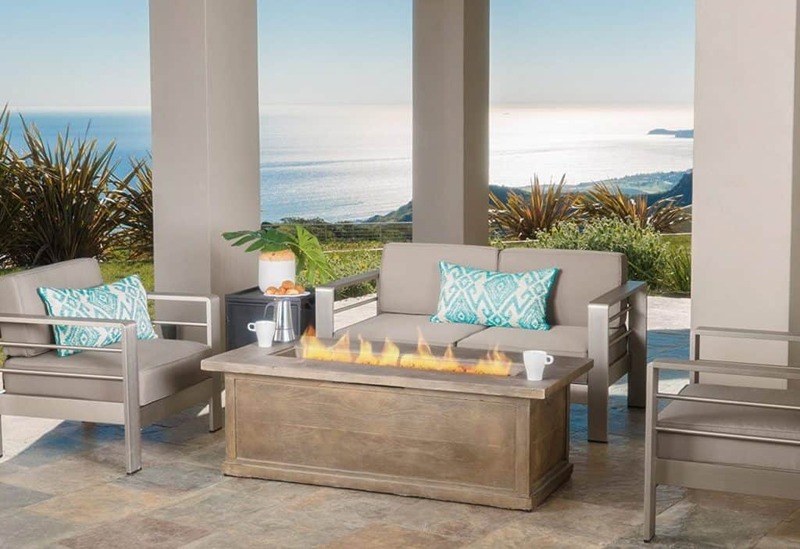 These streamlined fire pits are decorative and cleverly conceal a one-pound propane tank and control panel for easy lighting and use. Just be aware that the propane tank is usually not included. 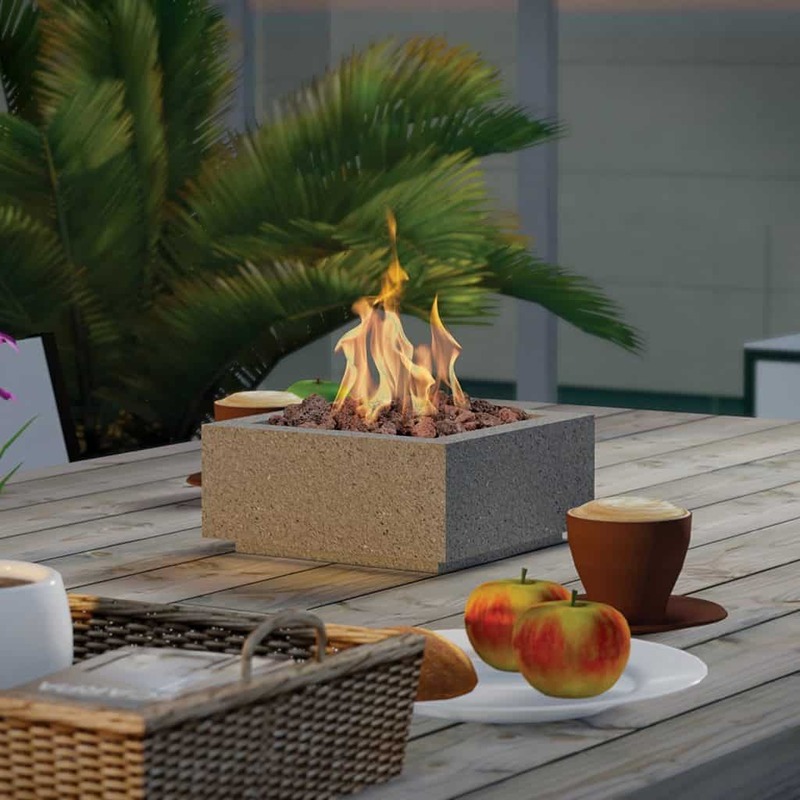 With a design much like the propane fire pit, bioethanol and natural gas tabletop fire pits offer even more choices for an easy fire pit of your very own. Whether you live in a rental apartment or house, or you own a smaller home of your own, you don’t ever need to let space (or lack thereof) dictate the amenities you have for your home. If you are looking for backyard fire pit ideas that are more permanent, while trying to not break the bank, then the most classic of backyard fire pit ideas is for you. 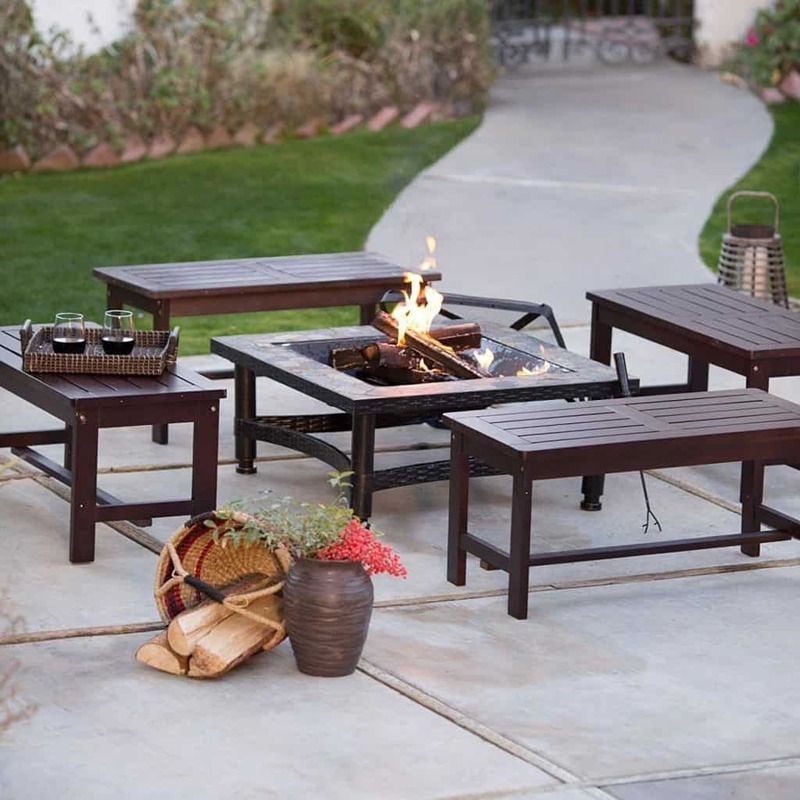 A basic patio firepit table surrounded by wood, stones, or concrete blocks can be a great choice. It is easy to install, it’s low budget, and perfect to make any social get together extra fun. 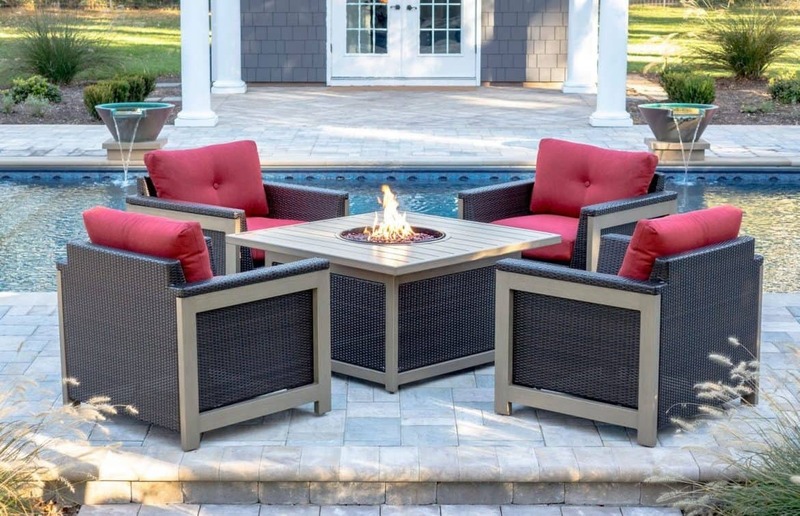 Just add a couple of lawn chairs around them and these outdoor fire pits are great for making s’mores on family nights, telling ghost stories around during backyard camping, or gathering with friends to catch up and reminisce about old times. 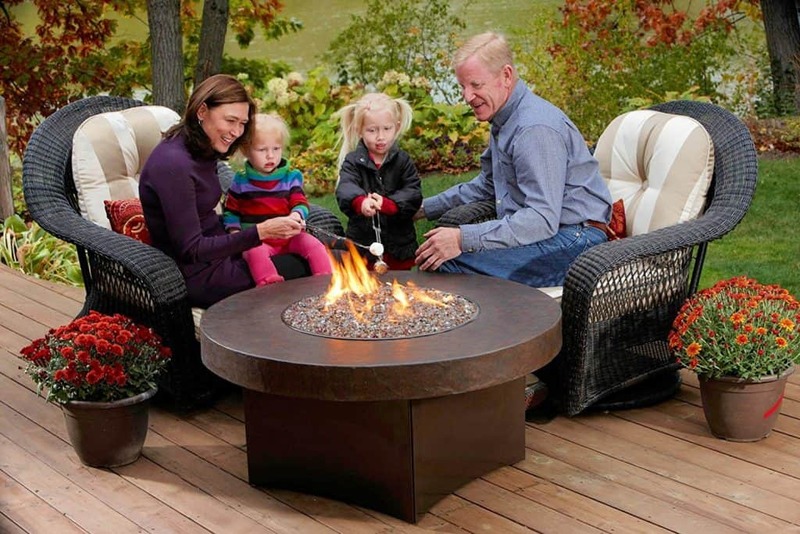 Firepit tables are a great choice because they are low maintenance so there is little to no cleanup, making the end to your night with friends or playing with your kids relaxing and enjoyable without the worry of cleaning up a mess once everyone has gone home or the kids have been put to bed. 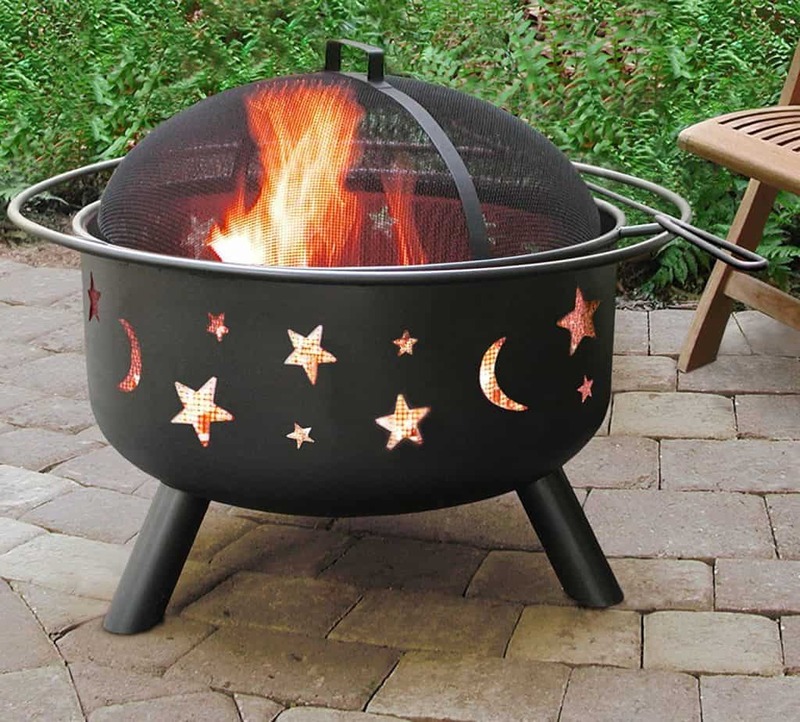 These backyard firepit ideas are also a bit safer and more child-friendly than the portable pits because they cannot be knocked over, plus they can be built up higher, lowering the risk of accidents with children. 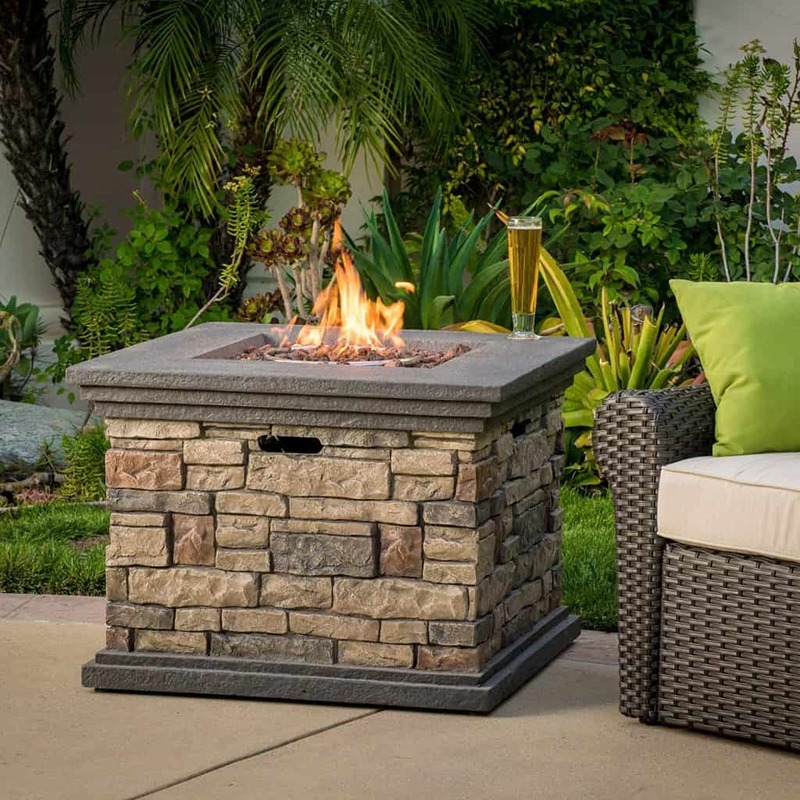 To add more style choices to your fire pit there is always the option of renovating your backyard so you have a fire incorporated into a patio or in the ground. 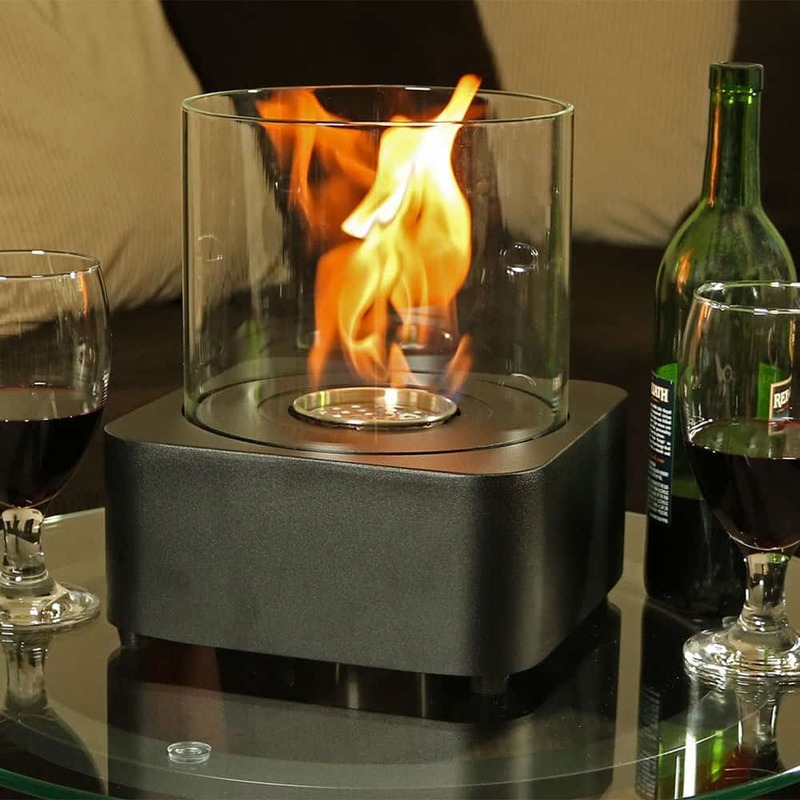 This will let you make your backyard fire pit feel more like an outdoor living space. 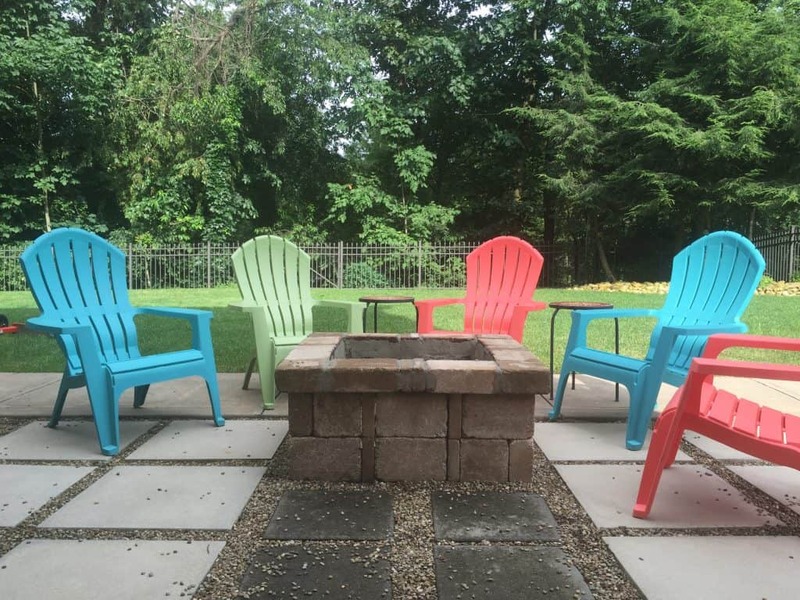 You can be as creative and unique as you want in making your backyard fire pit your very own. But this option is on the more expensive side and may need a little more upkeep to maintain. 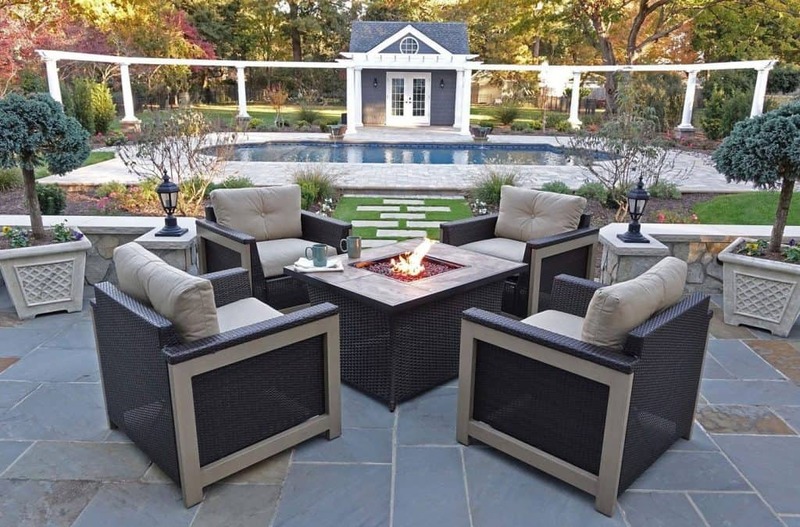 First, you will want to research, decide upon, and plan the specific design of the backyard fire pit you wish to create. 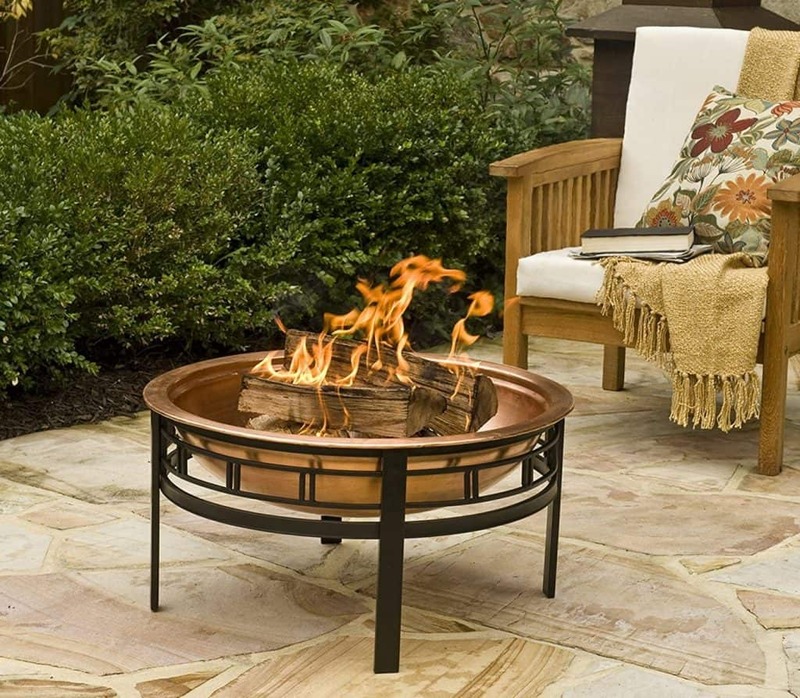 Generally, an in-ground fire pit is constructed with fireproof materials on a very level area of your yard that is a safe distance – usually 20 feet or more from your house, trees, shrubbery, or other flammable structures. Research the local building codes of your town, city, and county regarding fire pits because they are often subject to local building codes. 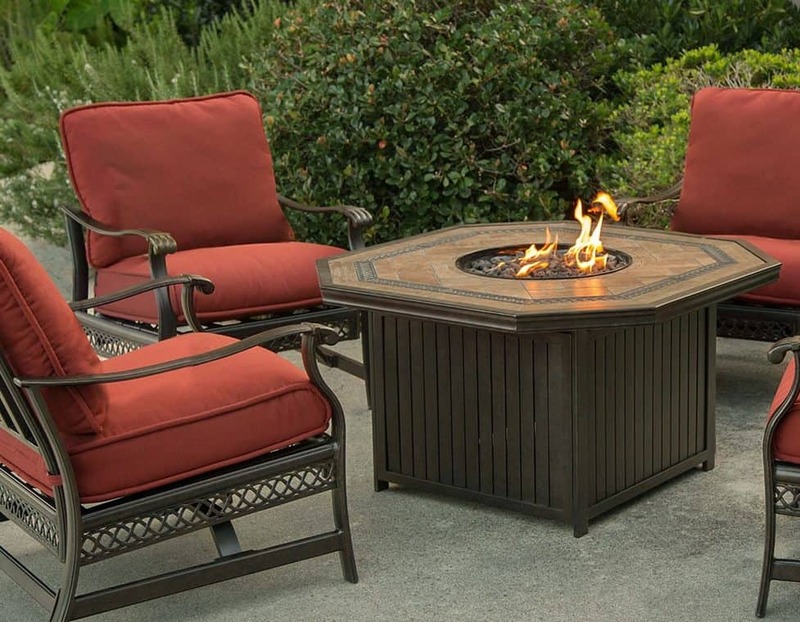 You‘ll want your beautiful fire pit to be in compliance! Along with some instructions, here are some great videos for building your own firepit. Personally, I’ve used the Rumblestone from HomeDepot to build mine, I’ll include a photo below. The first step in construction is to create the foundation, which involves measuring the circumference of the circle containing your fire pit, and then laying whatever foundation you choose. Some options include sand, dirt, or gravel. Whatever material you choose for your foundation, be sure to allow for drainage; you don’t want a fire pit that holds water. Once your foundation is set, it’s time to build the outer wall of your fire pit. This usually involves some sort of natural stone, concrete blocks, or bricks. These can be laid in place for easier transference to another spot (if you choose to move your fire pit at some point) or the wall can be made more permanent with mortar. Whatever way you choose to go about creating your outer wall, be sure to level your stones, blocks, or bricks for safety and stability. Once the outer wall is constructed, you can begin building the inner brick fire wall which can, again, be laid in place or secured with mortar. You can also buy a steel liner insert with a grille, but you have to build your outer walls to the specs if the steel insert first. As you construct the outer and inner walls, periodic measuring is the key to ensuring the uniformity of their thickness and circular shape. With the walls complete, you can, lastly, focus on a few final touches, such as carefully brushing the walls to remove any loose pieces of debris. If you choose to use mortar for your walls, a quick spray with your garden hose can help remove any superfluous mortar. 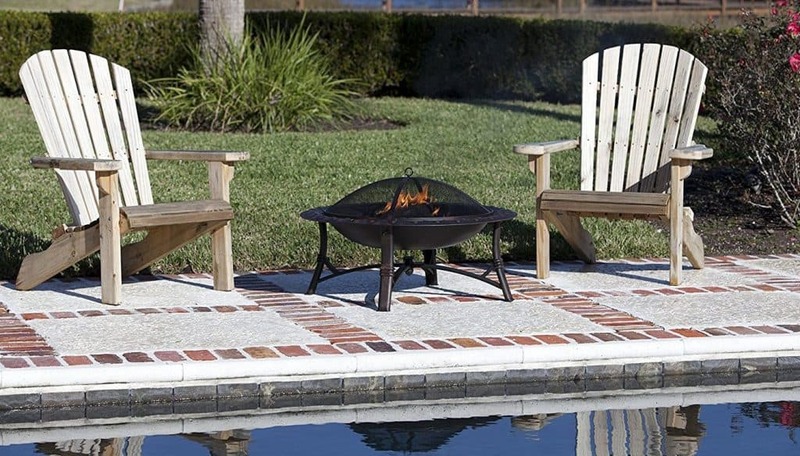 Then your fire pit is ready for its first roaring fire! 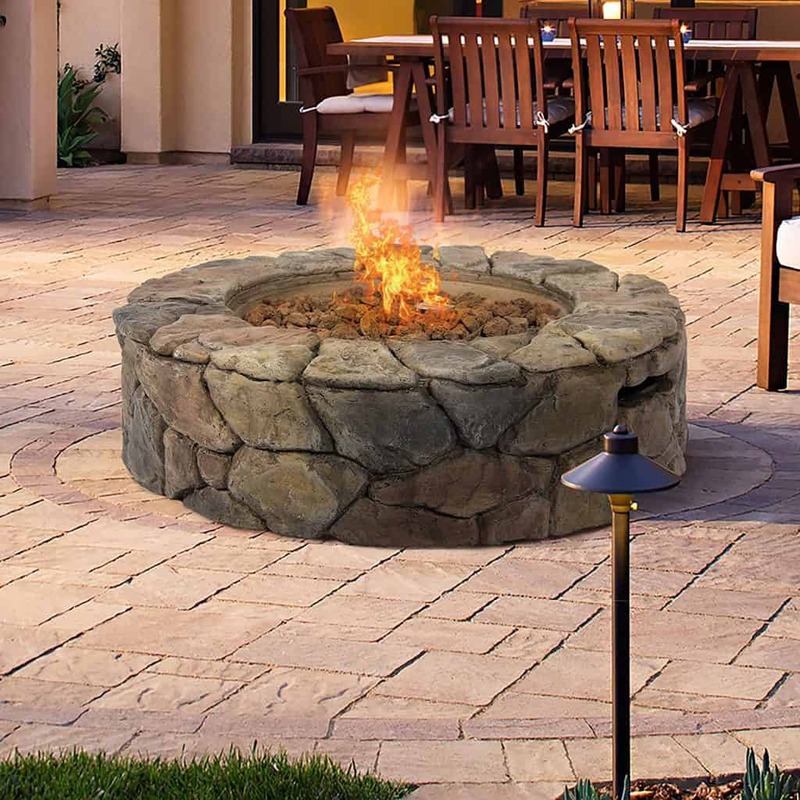 An in-ground fire pit offers the benefit, over their above-ground counterparts, of eliminating much of the risk of leaping flames or embers. This is due to the generally smaller diameter and better containment of the flames compared to above ground fire pits. 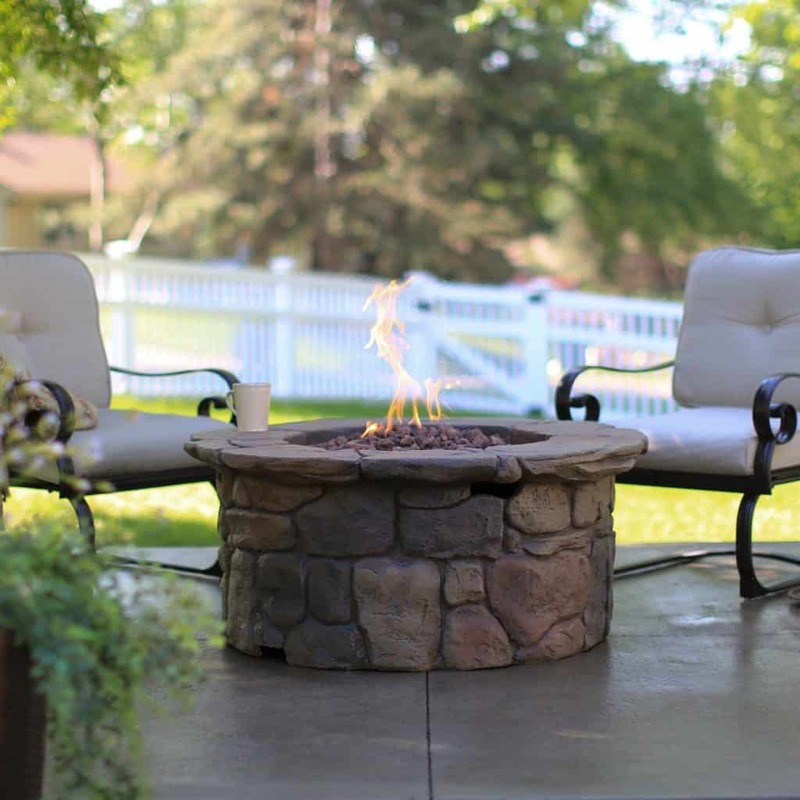 One potential pitfall of an in-ground backyard fire pit is the possibility of children, pets, or outdoor critters falling into the large hole in the ground. This is fairly easy to combat by building the pit in a well-lit area. Another strategy is to keep a cover on your in-ground fire pit when it’s not in use. This is a very effective way to combat anyone or anything accidentally falling in. Most of all, be vigilant regarding your fire pit—supervision, especially of children and pets—is key to avoiding accidents and injuries. Here is my final backyard firepit, it turned out okay, but I have to redo the mortar every few years because it cracks. Here is a link to the Rumblestone firepit instructions. They have a few designs to choose from, the one below is this one. Oh, and yes, the pea gravel gets everywhere. Planning, preparation, careful construction, and proactive strategies will help ensure that your backyard fire pit ideas are doable, usable, and enjoyable by your family for many years to come. For those who don’t want to build their own, here are some pre-built ones you can buy (but say that you built)! A backyard fire pit can be an exciting addition to a party, an enjoyable activity for family night, or even set a relaxing atmosphere for a quiet night at home. 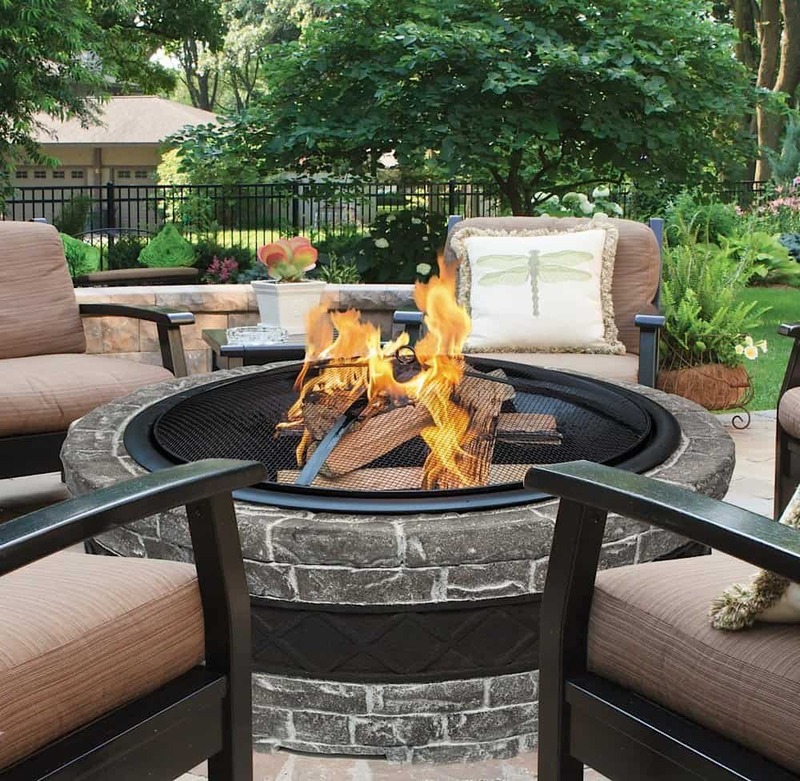 When it comes to backyard fire pit ideas, there are loads to choose from. Keep in mind your budget, your style, tastes, and most importantly, how you want to use your backyard fire pit. How you want to use your fire pit for will provide the most help in making the decision of which fire pit is best for you.